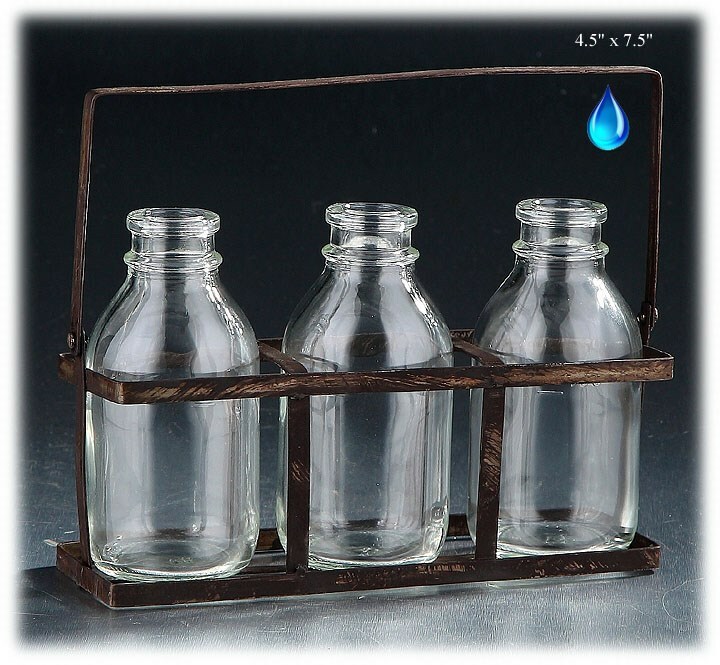 3 Bottles in a Carrier - 4.5" x 7.5"
3 Glass bottles in a rustic metal tote. Rustic Jar Set with Tealight Holders - 8.5"
3 Jars in a Basket - 5.5" x 12"
3 Glass jars with metal 'frogs' in a rustic metal tote with wood handles. 3 Glass jars with metal 'frogs' in a shiny metal tote with wood handles.